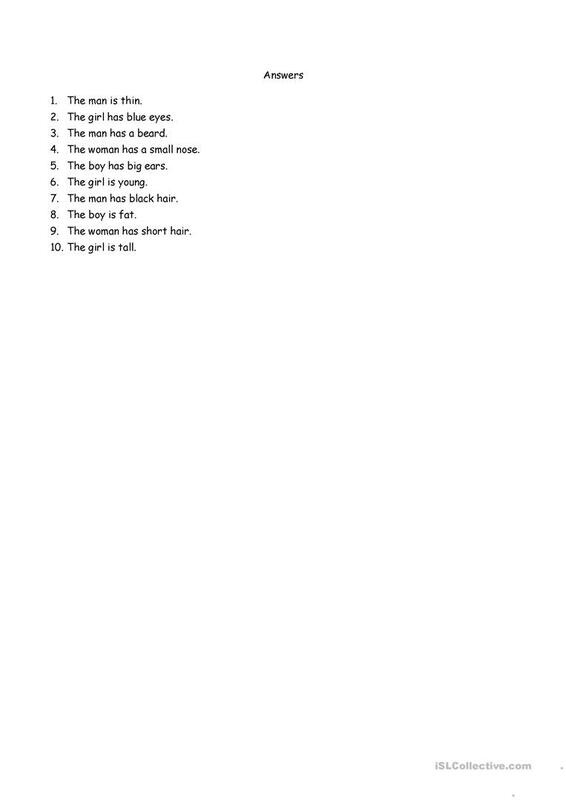 This is a basic worksheet for use with beginner EAL students. The idea is for the students to unscramble the simple sentences to form correctly structured sentences. The present downloadable printable is meant for high school students, elementary school students and adults at Beginner (pre-A1) level. 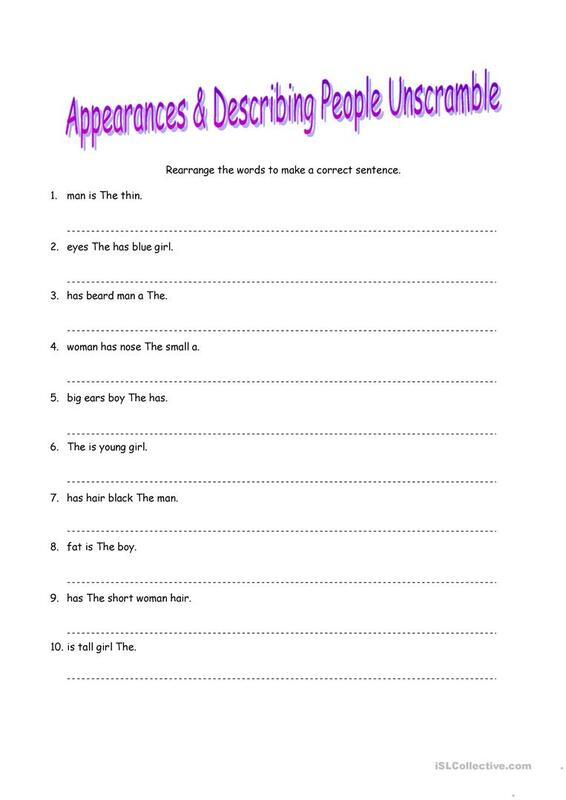 It is aimed at consolidating Subject and verb agreement in English, and is a valuable material for working on your pupils' Reading and Writing skills. It focuses on the vocabulary topic of Describing people. There is a key provided with the exercises. kelz8080 is from/lives in United Kingdom and has been a member of iSLCollective since 2012-11-26 13:10:45. kelz8080 last logged in on 2012-11-26 16:58:24, and has shared 1 resources on iSLCollective so far.